STAR-GATES & NEW EARTH TRAINING activates and trains individuals in working premier power-sites world-wide. This is the defining EARTH GRID & NEW EARTH TRAINING OF OUR TIMES. PLEASE NOTE THIS IS UNIQUE, REVOLUTIONARY HIGH FREQUENCY ASCENSION & 5D TRAINING. 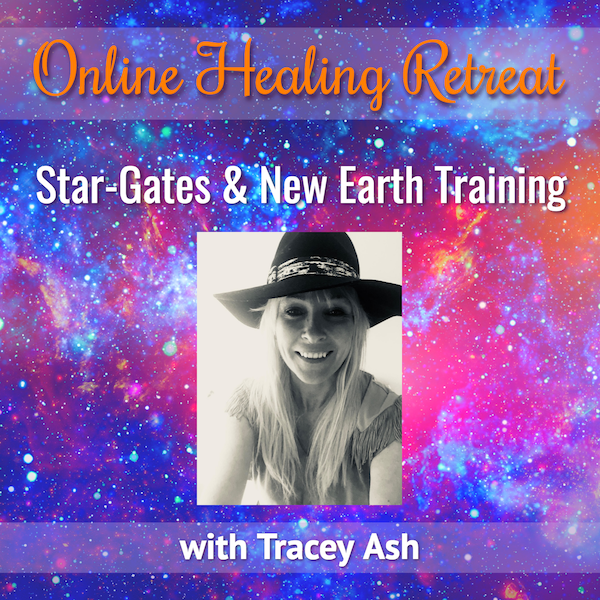 YOU WILL EXPERIENCE A SPECIAL POWER-SITE GATEWAY ACTIVATION DURING TRAINING WHERE YOU REMOTE VIEW & MULTI-DIMENSIONAL EXPERIENCE THE GRID THAT IS THE GATEWAY TO ASCENSION, A SACRED HUMAN BEING. The mission of this training is to mobilise as many revolutionaries and evolutionaries as possible to create NEW EARTH. You wilk ascension activate and eduacte in revolutiibary new technologies and realities. This is the new frontier of understanding STAR-GATES, POWER-SITES, EARTH-GRID, ASCENSION GATEWAYS, EXCEPTIONAL CONTACT. During these times a fragile corridor is the opening of the NEW WAY. These take us into soverign agreement as guardians and protectors of Gaia and Humanity. With exceptional sacred guidance and genuine truth we show you the way. Exceptional transformation and awakening processes blast low frequency wound imprints, negative agendas and repeat toxic programming that creates blindspots in awareness and compassion to rise and create dreams and change. Here we remove conventional false attachments. You will REVOLUTIONISE YOUR REALITY. Your sacred destiny and reality is finally unlocked. YOU ARE REVOLUTIONARY CHANGE. Here you enter SACRED RESONANCE and meet the eternal soul flames who have always walked with and in your sacred heart. Here we know miracles light the way. Here we sacred experience CONTACT. We finally witness the education beyond. Finally we surrender ego and listen to unprecedented sacred education. This ascension opportunity brings timeline choices where a greater spectrum of multi-dimensional reality can be accessed. It is important to note here in overhauling 3D, 4D a revolutionary program detox opens the gateways of and to greater intelligence and ET CONTACT. This is 5D and beyond. Here outperforming The False Matrix, False Timelines, Elite Power Agenda, Negative ET Agenda is yours. Here we move into important reality changing contracts of sacred love, sacred destiny- the practical reality overhaul humanity has been waiting for. Here we awaken meta-genuine physical gifts essential for creating a world beyond The False Matrix and all connected agendas.